The perfect Vermont hideaway near Smugglers’ Notch. 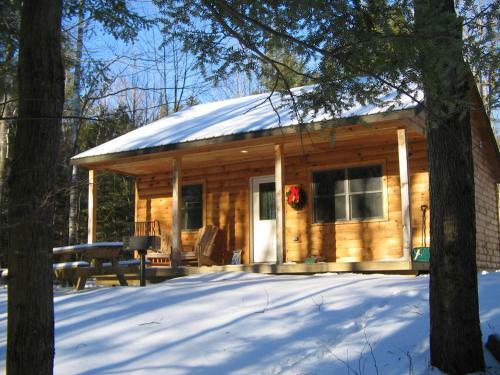 In a peaceful, wooded setting our pet friendly(designated) log cabins have all the modern amenities perfect for a romantic getaway or a family vacation. Nestled in the peaceful Vermont woods, our cabins and multi-family units are set in the beautiful New England countryside with stunning mountain views. No filter needed for a Bluebird spring sky! Maple Open House is 3/23&3/24!